Gysbert (Gys) was born on March 29, 1925, in Heelsum, the Netherlands, to Marten and Jenneke Beukhof. He worked on a farm from a very young age and loved farm animals. When Gys was 15 years old, World War II broke out and his world changed forever. He continued working on the farm during this time but had to stay in hiding. The war lasted until he was 20. After the war, there was much destruction and no future and he started thinking about coming to America to fulfill his dream to own his own farm. In 1948, Gys and Minnie den Ouden were married and lived in Heelsum. Shortly after they were married, he was drafted into the Dutch army and sent to war in Indonesia for two years. When he returned, he and Minnie decided to immigrate to America. They left the Netherlands and settled in Chandler, Minnesota, on March 3, 1951. One month later, their son Martin was born. Two years later, Cornie was born and six years later, Dave was born. They loved the farm and built up their herd to 17 cows which they milked by hand. In 1967, Gys realized his dream of owning his own farm in America when they bought the farm near Garvin, Minnesota. The farm was called “Ora et Labora”, which means “We Pray and We Work”. They increased their herd and farmed there until 1991 and then moved to Willmar. 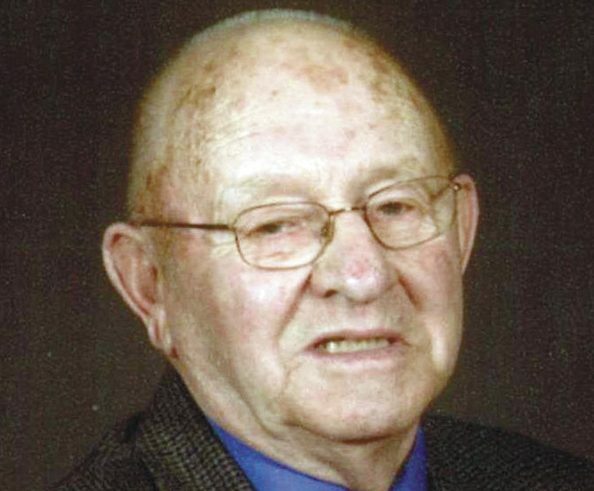 Since moving to Willmar, Gys worked at various grocery stores until he was 87 years old. He enjoyed meeting people through his work. Many people that he met at his jobs and activities became his closest friends. A big highlight for him was to go fishing in Alaska at the age of 83. Gys was very proud to become an American citizen in 1956. After having only an 8th grade education in the Netherlands, he was determined to complete his GED in 1983. Gys loved the Lord and served as Deacon and Elder in the churches he attended. His sons and their families were his joys. He enjoyed walking at the YMCA well into his 90’s. He is survived by his loving wife for 70 years, Minnie; his sons, Martin (Jan), Cornelius (Heather), and David (Barb); 8 grandchildren and 4 great grandchildren; his sister Riek Hoefakker, who still resides in the Netherlands; and many wonderful friends. Gys was preceeded in death by one sister, Jenneke van de Brink.